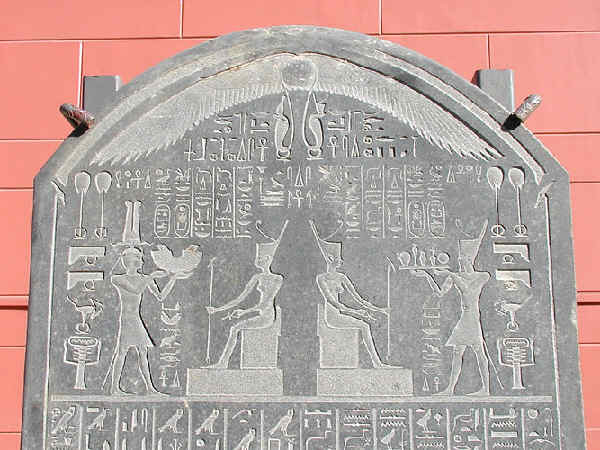 Stele of Djed-Bastet-iuf-ankh, who held priestly offices in the cult of Amon in the Late Period. Egyptian Museum, Cairo, Egypt. 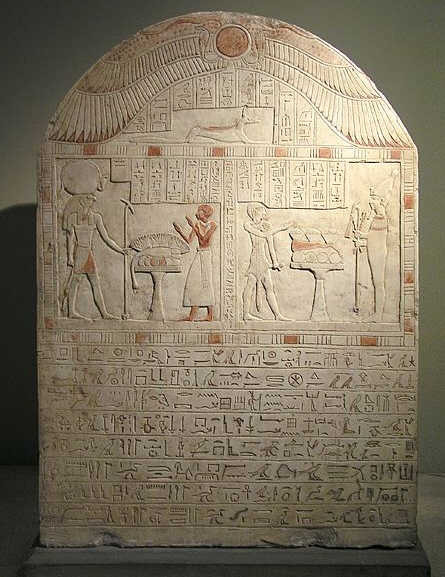 A stela of the Pharaoh Nectanebo I of the 30th Dynasty. Egyptian Museum, Cairo, Egypt. 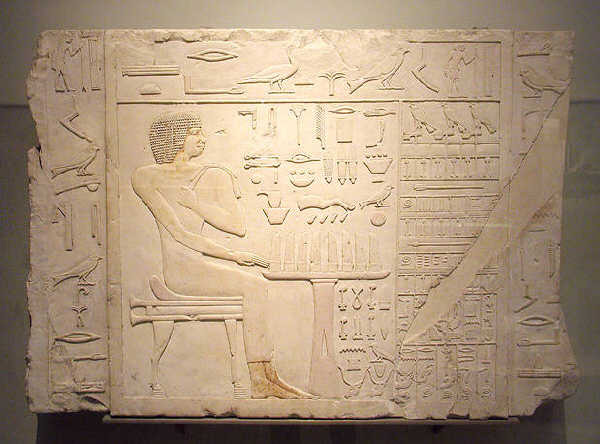 4th Dynasty stelae of Rahotep from Meidum. British Museum, London, UK. 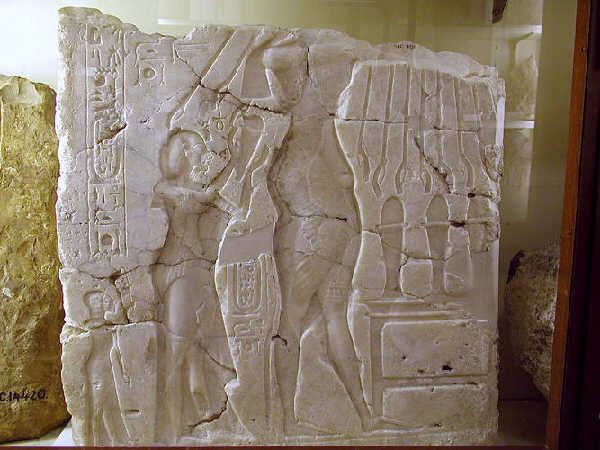 Fragment of an alabaster stele showing Akhenaten (headless) followed by Nefertity and Meritaten before an offering table with 3 jars, to which the hands to the Aten are extended. Petrie Museum, London, UK.